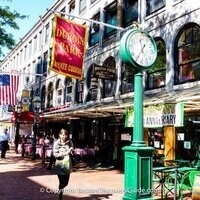 The bus leaves the MU bus circle at 8:30am and we will be dropped off at Quincy Market upon arrival. Spend the day on your own to explore, shop, or dine in historic Boston. All tickets must be purchased in advance at the MU Box Office. Rhody Adventures events are for URI students and their guests only.